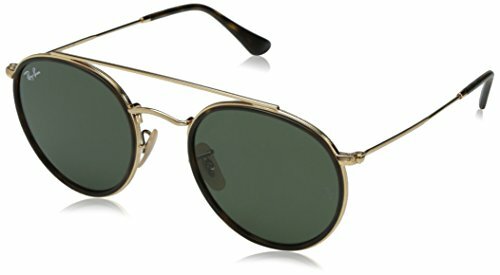 Rounded metal frame in gold with saddle bridge and classic grey green lens. Option to rx. This full metal round frame stands out with unique double bridge design; lightweight metal and vibrant color options make this a necessary addition to your ray ban icon collection. Offers a high level of clarity, comfort and protection.